iVoltility.com has some FREE tools that can help price options which are easy to use. This blog post shows you the simple steps to accurately price your options. For both the new and seasoned option traders, knowing the fair price of an option you are considering either buying or selling can be a problem. Are the options trading at a premium, discount, or at fair value? Its often hard to tell. Another situation that is problematic is if the option under consideration has a wide bid-ask spread. Keeping in mind that market makers are paid to win, its rare to get a fill near the bid in these situations. Knowing a fair price would be helpful. iVolatility.com is a treasure trove for option traders. 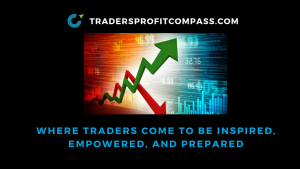 Their sophisticated data service provides all the information required by equity options traders for pre-trade analysis, post-trade decision support and risk management. 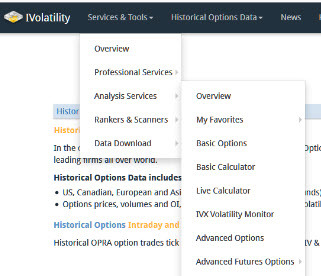 They have a huge database of historical implied volatility (IV) and correlation data. The company offers a huge array of subscription-based services for institutions and individual option traders. Luckily for us, they offer a few free tools too. Lets explore their Basic Calculator Tool for getting prices for a potential option trade. Register on the site and set up a free account. In my experience, you don’t need to worry about incessant emails or solicitations. They will offer you the option of their free newsletter which I have found helpful. Under the Services & Tools Tab, scroll down to the “Analysis Services” option which will open up additional options. Select “Basic Calculator”. The menus are shown below. For this example I am considering buying a BABA January 2019 $180 CALL. Ignore the rest of the inputs; they won’t have a meaningful bearing on the result. The results are output on the right hand side of the tool. You can see 2 main columns; one for CALLS and one for PUTS. For the BABA Jan 2019 $180 CALLS, the tool calculates the price to be $12.79. If I wanted PUTS, the price should be $13.95. I consider these prices to be “fair value”. I can now compare these prices to the live chain. It gives me a good starting point. In this example, BABA options are fairly liquid and hence have reasonably tight bid-ask spreads so that difference is minimal. If were looking at a thinly traded biotech or something similar, that likely won’t be the case. I’ve seen bid-ask spreads go well over $1. Knowing the calculated value would give you an edge if you wanted to place a limit order for such an option. At least you’d know you were not being raked over the coals by the market maker. You could place your limit order and simply wait to see if you get filled. In most cases, information is power; with option pricing it certainly is. I have found this simple and free tool from iVolatility.com to be quite helpful. If I decide to “pay up” for an option, at least I know I am. I’m not throwing darts and guessing. Sometimes you can find options that are trading at a discount. Anyways, play around with it. See what you think. I hope you find it helpful in your trading. Happy Hunting and Good Trading! Disclosure: I was not compensated by iVolatility to promote their website.